Why Wait? Get the Ebook now! 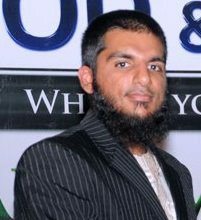 "Ismail Kamdar’s new book provides exactly the right balance between Islam and the psychological aspects behind confidence, Masha’Allah. The author of this book does a brilliant job in offering action points that are easy to implement, regardless of your knowledge of Islam and level of practicing." Learn how Tawheed, Tawakul, Sabr, and other key Islamic beliefs should actually boost your confidence! Are confident people arrogant? Discover the answer to this and other common myths! Learn practical tips for overcoming fear, and stepping out of your comfort zone! In 150+ pages, this eBook covers all the necessary tools to boost your confidence to the next level! 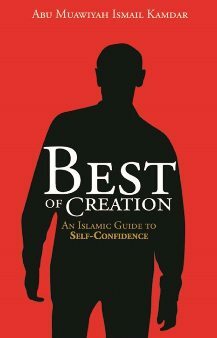 "Ismail Kamdar’s new book provides exactly the right balance between Islam and the psychological aspects behind confidence. "Best of Creation by Abu Muawiyah Ismail Kamdar is such a refreshing read. It goes to the core of things by firstly establishing the importance of realizing our reason for existence." Do you really want to let another year pass by because you procrastinated at getting the right resources to help you grow? Success is achieved through chasing your dreams. In order to chase your dreams, you need Self Confidence. You can get those by investing in this eBook today. The choice is yours: Start your journey of confidence building today or let another year pass by without achieving your goals!